Failed Enterprise Resource Planning (ERP) software implementations are abundant. Both private sector and government ERP software implementation failures attract media attention and prompt analysts to repeat the unacceptably high ERP software failure rates to both the media and their customer followings. As with sports strategies, the best defense to avoid an ERP project failure is a good offense. However, when thoughtful planning and proactive project management fall by the wayside, enterprise software projects can quickly become troubled. Depending upon the level of trouble or stage of failure, unsuccessful business software implementations can often be turned around. Consider the below steps if you find yourself evaluating whether to continue or abort a troubled ERP software implementation. First, assess the political climate to determine if support for the original project objectives remains in place. Meet one on one with each of the key stakeholders and determine if their goals are valid and whether they are willing to make a personal contribution to get the project back on track. If the corporate culture has been poisoned or is so foul that every time the letters E, R and P are mentioned that people either cringe or badmouth the project, remediation may not be possible. Reassess your project management office (PMO). Good project managers impose proactive and rigorous discipline in order to achieve predicted results. Untrained project managers are often reactive, producing superficial status reports after the fact. Experienced project managers do not begin a project before a thorough planning phase has been analyzed and a meaningful project plan vetted. Troubled projects do not fail because estimates were 15% off, they fail because estimates contained omissions that were not discovered until it was too late. Get independent advice before continuing. An objective sounding board can cut through the politics and stay clear of the blame game in order to bring sensible review to the situation at hand. Be prepared to abort the project. ERP software implementations and information technology (IT) projects in general are famous for "being almost done". Many troubled ERP software projects claim to be 90% complete, however, in the end that last 10% consumed more time and effort than the first 90% of the project. Assess the situation objectively and do not throw good money after bad. If remediation is elected, do not proceed with a go-forward plan until the reasons and root causes for the current failure are fully understood. Comprehensively defining the problem is often 50 percent of the solution. While some failure points such as failed software customization or a failed data conversion can be easily identified, be sure to review those items which are less tangible but often more damaging to a project such as change management or lack of project management. Resist the temptation to blame the software manufacturer or implementation consulting firm for the failure. While they may be contributing factors, it is almost always true that they have completed successful implementation engagements for dozens or hundreds of companies previously, thereby, suggesting that some factors in your engagement play a role for lack of success. Determine accurate project costs and timeframe remaining before committing to a go or no go effort. Chances are the project is currently over budget and delayed. Understand the precise factors which most contributed to the current project status in order to apply those lessons learned to future time and cost forecasting. Consider a two-phase go forward plan. For phase 1, identify 'quick fix' opportunities and solutions. Achieving even mild successes can be used to turn the tide and begin momentum in a new direction. For phase 2, reprioritize the long term opportunities and solutions. It is generally advisable to begin with the lowest risk tasks irrespective of benefit. Consider decreasing project scope. This can be achieved by simply discarding certain less valuable project activities or by breaking projects into multiple phases. Remember you cannot do it alone. ERP implementation success is the result of all stakeholders and constituencies working together for a shared goal. Key stakeholder groups include executive sponsors, project managers, project team members, IT staff, subject matter experts, software vendor representatives and employee liaisons from every division, department, geography or line of business that will be impacted by the ERP software. Any single stakeholder group which is omitted from the implementation effort or which fails to deliver their assigned contributions will inflict significant risk to the project. Project turn-arounds are as much art as science. This page will be updated following an upcoming ERP software symposium in Singapore. 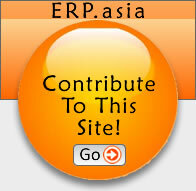 If you have first hand experience or suggestions for ERP software turn-around situations that you would like to publish on this site and share with this community, please send them to info<at>erp.asia.